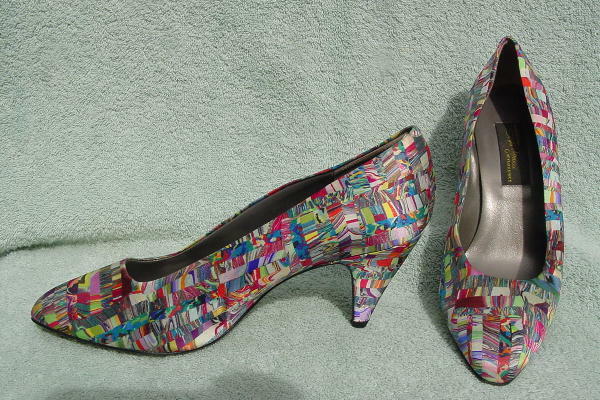 These every color of the rainbow and then some freeform design pumps were made in Italy by Sesto Meucci. The fabric feels like a satin and they have dark gray leather linings and insoles. She wore them once, to a foreign movie premiere and afterparty.